NEW ROOF JUST INSTALLED IN DECEMBER 2017!! INCREASED VALUE! Carport roof replaced 2 years ago. 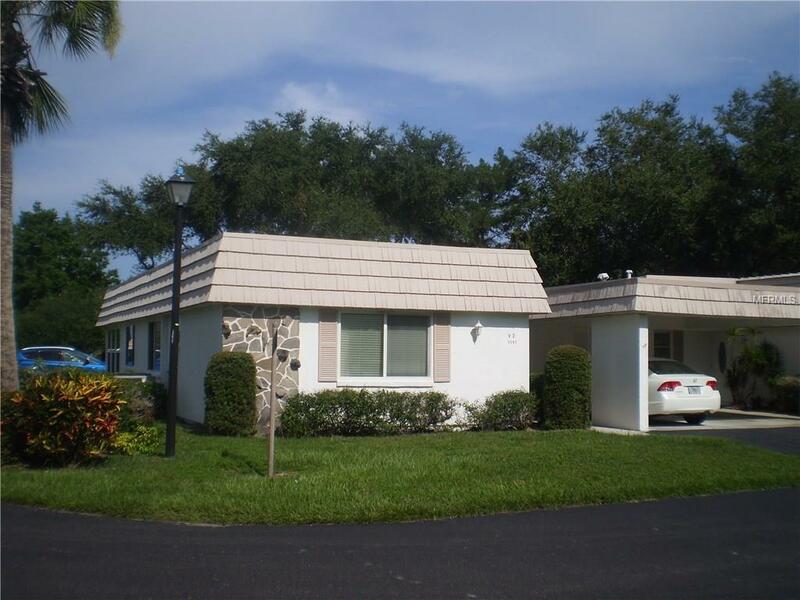 A pleasure to view this 2 bedroom, 2 bathroom end unit with a comfortable den and an enclosed Florida room! Villa is light and bright, situated on a quiet corner in the community. Owner has added numerous details to create a lovely living environment. All walls and ceilings are newly double-coat painted. Master bath has been upgraded with a new waterproof floor and commode. Most windows are hurricane proof. The two other picture windows have replacement sun-filtering glass. Blinds by Hunter-Douglas. All furnishings and items in the Florida room, kitchen, utility and garbage rooms can be included in the sale! Villa has replacement PVC plumbing, new drains and Moen faucets, Bryant heat pump (7 y/o), Samsung front load washer (4 y/o), Whirlpool refrigerator (4 y/o), Maytag dishwasher (3 years old). Owner has maintained warranties on the previous items. New electrical box to be installed on June 4. Owner has upgraded the private outdoor "key" space in back of the unit with shrubbery and gravel. The community is a 55+maintenance-free boating site that offers social events, games, and clubs for residents. Other amenities include a heated pool, his-and-hers saunas, shuffleboard, and areas for billiards, fitness and a library. The marina has access to the intercoastal waterway and the Gulf of Mexico. Siesta Key is 2 miles away! Close to downtown with many cultural and dining opportunities! Make an appointment soon.